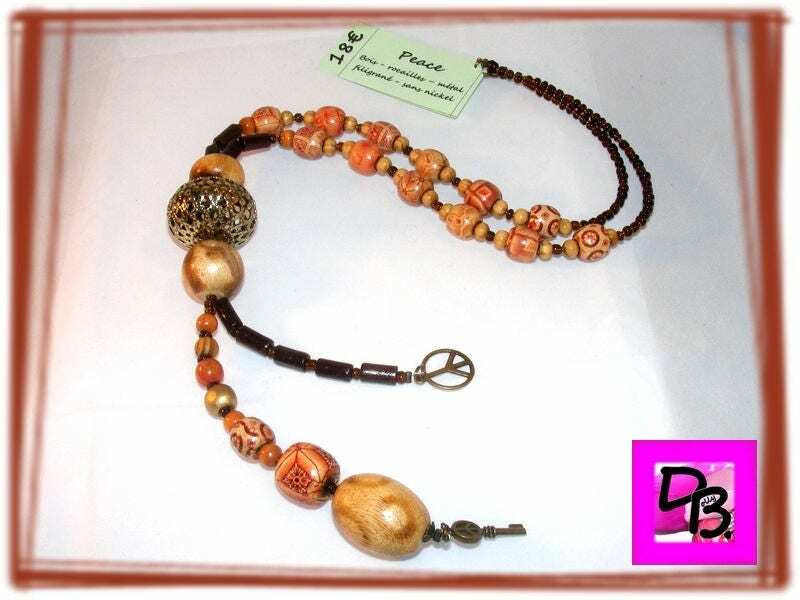 Necklace in the shape of Y with wood and a beautiful filigree pearl beads. 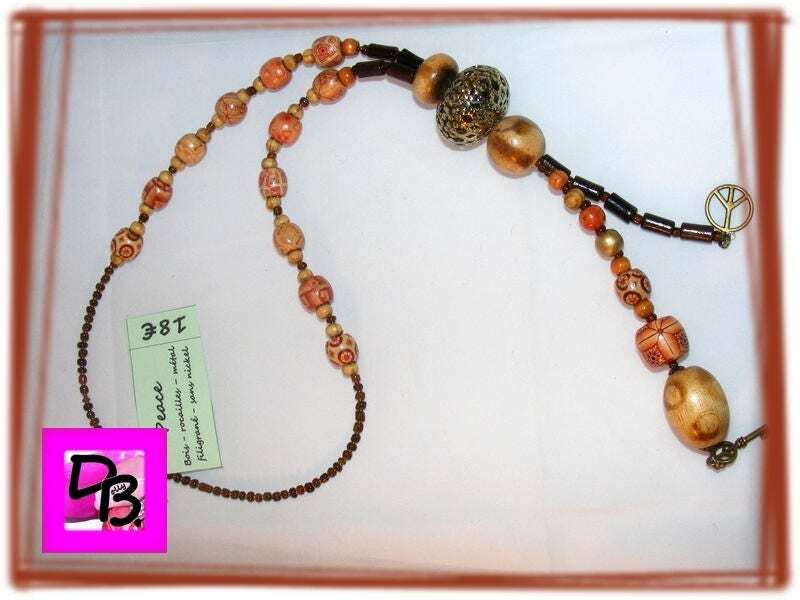 Necklace way tie - 4 cm in diameter Central filigree beads. 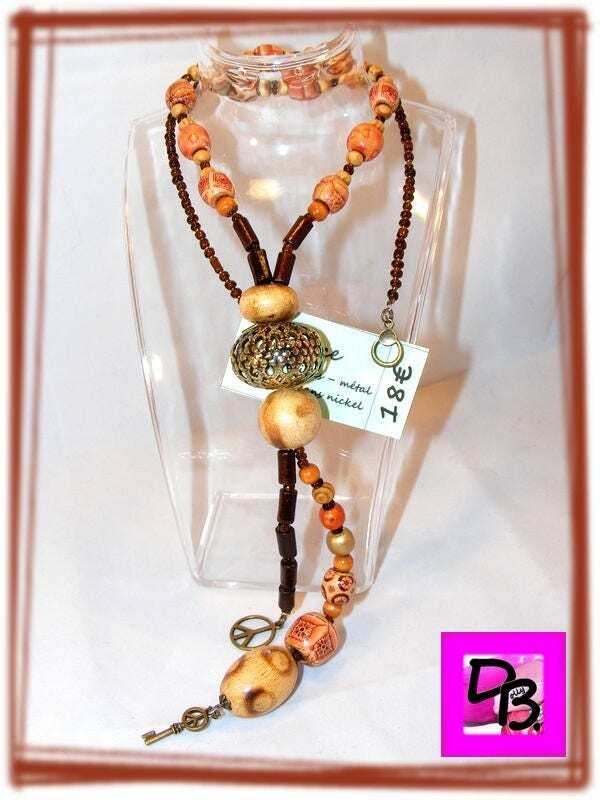 All metal parts of this necklace are nickel free, lead, cadmium or chrome - standard European RoHs.